"This 'ere gladius 'as seen off more polar bears than you've 'ad hot dinners - give it some respect lad." Would you be willing to share the building technique on the helmet? I'd like to try that out myself. Wow, simply, wow. there's so much to like about this MOC. The use of Bulk's helmet works perfectly, the armoring is flawless. Thanks for posting this! Looks outstanding! Great work! 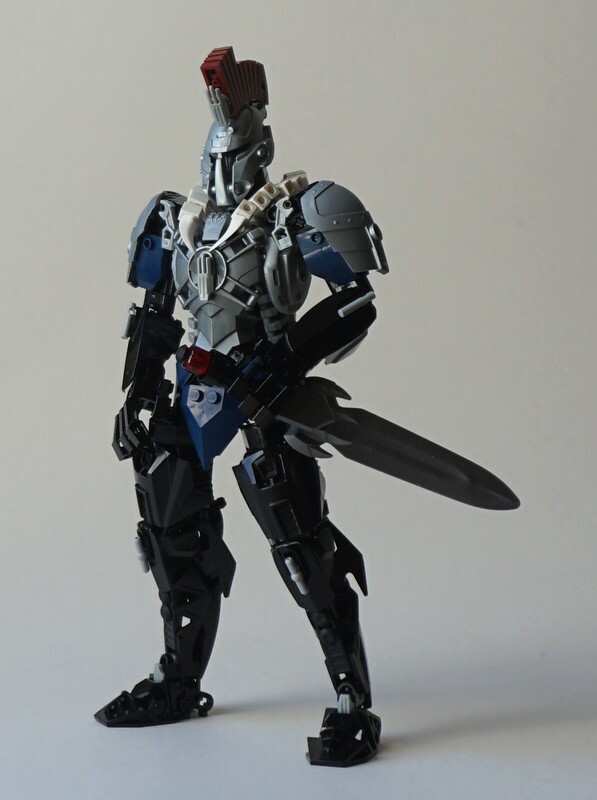 just curious though, much of the build looks as though parts would get in the way from moving joints. I am not sure but is this piece able to move it's shoulders and knees? Edited by Shadow Titan Teridax, Aug 09 2018 - 01:16 AM.